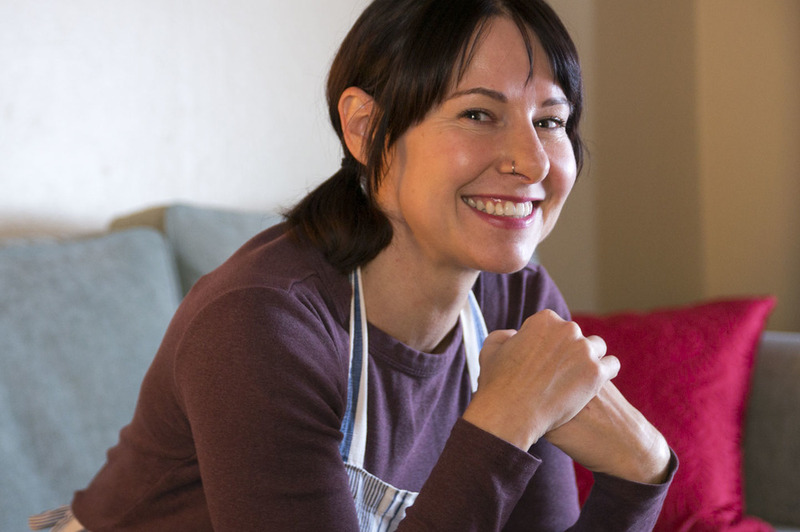 A native Sacramentan, Kristen had a passion for cooking and nutrition. She dreamed of combining them into a service to promote health and wellness while satisfying tastebuds. After an acquaintance asked for her assistance preparing healthy meals for his family while his wife recovered from an illness, she found the inspiration to create Kristen’s Healthy Kitchen in 2010. Demand for her services grew quickly and her business thrived. Kristen’s Healthy Kitchen specializes in personalized menus instead of large volume preparation techniques in order to cater to individual needs while using high quality ingredients that are fresh, organic and minimally processed. Whether you have a fast-paced lifestyle or would just like assistance eating a more healthy diet, Kristen can create a convenient and customized menu for you or your family’s desires. She has the talent to prepare meals that are both delicious and healthy. 1. Preheat the oven to 350. In a large, deep skillet, melt butter in the oil. When the foam subsides, add the onion, carrots, radishes, turnips, cabbage, apple and garlic. Season with salt and pepper and cook over high heat, stirring, until vegetables are lightly browned in spots, 6 minutes. Add broth and bring to boil. Cover and braise in the oven for 25-30 minutes, until tender. 2. Stir in pear and cook over high heat until the liquid is evaporated and the pear is tender, 5 minutes; transfer to a bowl and serve.